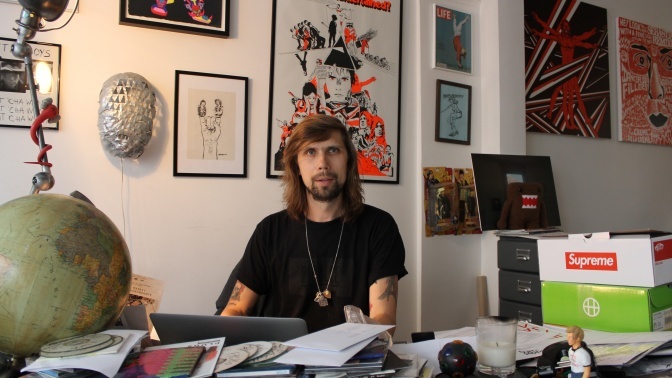 If you held a music festival with all the artists Pedro Winter aka Busy P has ever worked with or been around it would sell out 100 weekends in a row. The French magnate has musically gallivanted with Daft Punk, Justice, Mr. Oizo, Breakbot, Uffie, SebastiAn, Gesaffelstein, Skream, Flying Lotus, Boys Noize, Brodinski, Cashmere Cat, Surkin, Pharrell Williams, 2ManyDjs, Duke Dumont, Rick Rubin, Mayor Hawthorne, Boston Bun, Murs, Dj Mehdi, Riton, Cassius, and Kavinsky just to name a few. Yeah he's that important. Starting his career managing the aforementioned Daft Punk (that's like becoming CEO of Apple right out of college) and moving on to create the illustrious and iconic Ed Banger Records, Pedro leads one of the most fascinating and buoyant lives outside of maybe Oprah or Dr. Dre. Pedro was nice enough to make some time and let us into the complex brain of his and give us some insight into his multifarious career. EM: Bonjour Pedro! Let’s start at the beginning. When did you know you were very adept and capable of putting great parties together and being the musical impresario everyone needed at the time? BP: I’m not sure I've thought too much about this. I just put parties together and chose the DJs I liked back in 1995. It just happens that all those DJs became what people are calling French Touch (Daft Punk, Cassius, DJ Gregory, etc..) I was just lucky to be there at the right time. Sometimes I just feel like a magnet, getting surrounded by very talented friends. House music changed my life in the mid 90’s, since then, I’ve been trying to continue to spread my passion for electronic music. 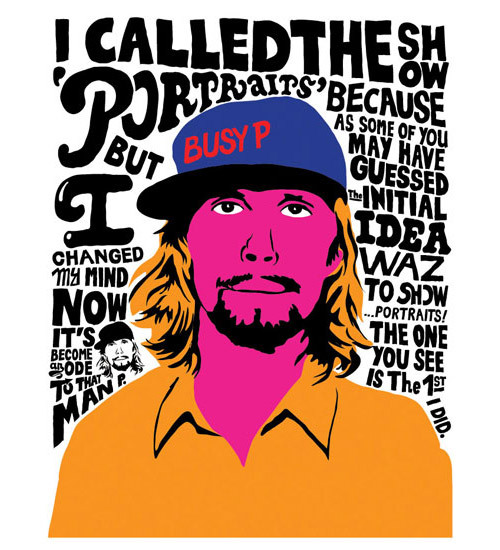 From throwing parties, to creating Ed Banger Records, to producing my own music as Busy P.
EM: Yes! You've really evolved into one of the most multifaceted presences in electronic music. I feel like you would have to be working 24/7 to achieve all those accolades. Are there any activities you enjoy doing when you’re not working to reduce stress and prevent yourself from burning out ? BP: I have a 4 year old daughter, spending time with her is what I like the most. But I have to admit I don’t have a very stressful life. I’m far away from burning out. Sometimes people takes things too seriously, we’re just entertainers, running a music label is fun. In fact, I run my label as I run my life. EM: Family definitely keeps us grounded and centered in inexplicable ways. If that's the case then how are you able to achieve a level of balance between your label boss responsibilities and your responsibilities as a performer? How do you make sure you stay organized? BP: It’s a good question. Sometimes I feel guilty to be on tour, away from the office. But it’s part of my job. Now I’m 42 I can handle it better. I will be sad to have a DJ life only. Working on tons of projects is what I like. Supporting our artists, producing stuff, publishing books, Doing, dancing, all this makes me who I am. EM: Interesting Pedro. Can you run through what a work day is like for you? Do you have any specific routines you follow? BP: My life is very scheduled, but even with this I feel sometimes like a taxi driver who doesn’t know where he will end his day. Same for me, it’s different everyday. For example, I start with my emails, then work on Justice's forthcoming video. Then think about our forthcoming releases, like Myd or Vladimir Cauchemar, new producers I like. We think about fun ideas, like publishing a book, making weird videos, doing special merchandising stuff. And at night I go DJ. Oh and the next morning I have to bring my daughter to school. In fact, I go to bed after you and I wake you before you! EM: Wow you must have met a lot of influential people along the way. Who has given you the best advice in your life and what was it? Also, are there any books you've read that helped shape your career for the better? BP: Meeting people like Spike Jonze, Rick Rubin, Dj Mehdi, Pharrell and Daft Punk are probably the most influential times of my life. It’s not about advice but more about philosophy. I do things I like with passion and try to bring people with me into this journey since 1995. I feel very lucky. The only thing matters today is to make positive things. Definitely, Rick Rubin "In the Studio". EM: Yeah you've signed and/or worked with an immaculate pantheon of characters. Do you have a process for discovering and identifying talent? In a sense what makes an artist marketable in your eyes and how does someone get signed to Ed Banger? BP: I’ve signed most of the artists of the label by receiving their demos. There is no recipe of course. Anyone can sign on the label. EM: Speaking of Daft Punk, when did you know Daft Punk were going to become legends? In your words how would you say they have evolved over the years? BP: You never know when an artist becomes a "legend" and it’s better this way. It’s going to sound weird, but I think Daft Punk are the same today as they were back in 1995 when I met them. Maybe that’s the secret, as simple as it is. Just be yourself, stay down to earth and become a legend. They have magic musical skills. Since it's inception in 2003 Ed Banger Records has teamed up with Parisian graphic designer So Me who has gone on to create many of the imprint's album art, concert posters, fan merch, and even some of their music videos. 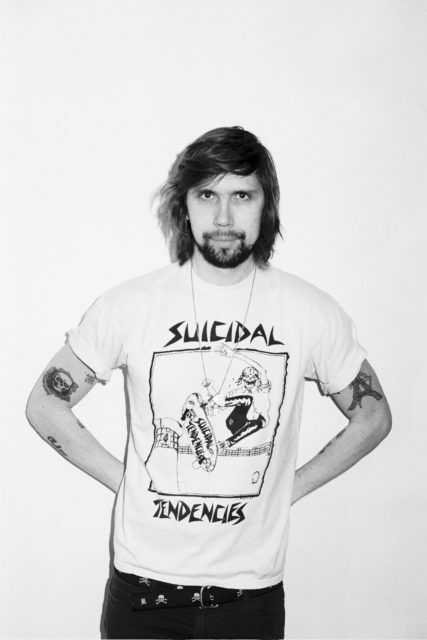 Ed Banger's visual style are as synonymous with the brand as the music itself. To separate the two would be like having Star Wars without John William's score. In 2014 French artist Jean Andre became Ed Banger's art director and now delivers a slightly different art style that is still very much at home with the label's soundscape. Above you can see So Me (above in pink) and Andre's (right below in black and white) rendition of a portrait of Busy P. Below is the So Me directed video for Justice's "D.A.N.C.E." EM: How important was it for you to establish a visual identity for Ed Banger as well as a sonic identity? In a sense how were you able to find synchronization between the Ed Banger sound and the graphic art of So Me and Jean Andre? BP: I have to credit Factory Records and Mo’Wax for opening the way for me. I’m continuing this legacy in a way. 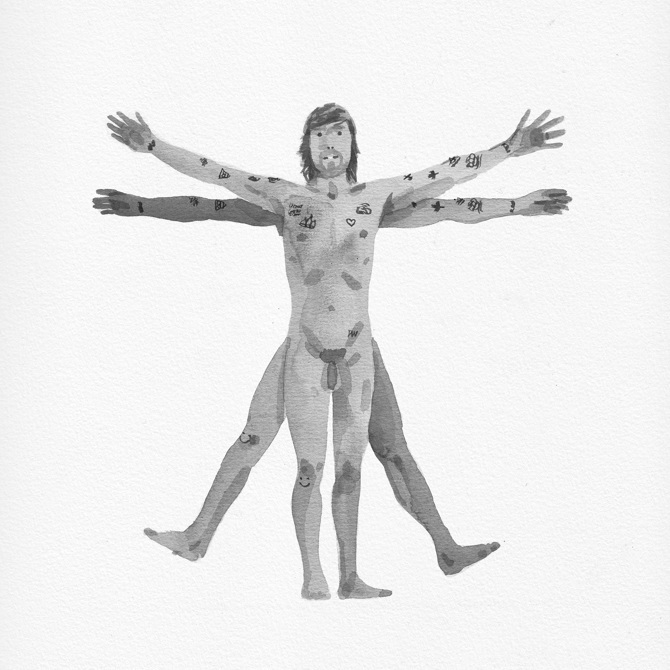 Music and art are connected and I can’t imagine Ed Banger without So Me. EM: Ah yes and now as for the musical identity of Ed Banger can you briefly tell me how you discovered and began working with: Breakbot? SebastiAn? Mr. Oizo? DJ Mehdi? BP: I met Dj Mehdi in 1997 in NYC at a Daft Punk party. He was coming from the hip-hop world. Everything was separating us, a kid from the suburbs and me…For over 15 years we tried to show the world that differences are gold. He was the best person I've ever met in my life. SebastiAn came to the label with music and played me stuff. 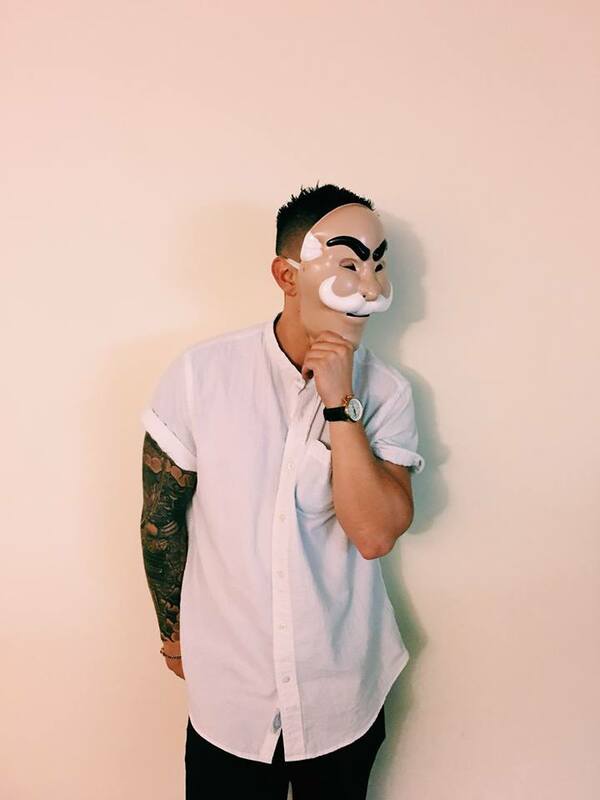 He is one of the most talented producers around. His work for the new Charlotte Gainsbourg album is incredible. I can’t wait to be able to announce a date for his new solo album on Ed Banger hopefully in 2018. Breakbot and Mr. Oizo joined the Ed Banger family and took us to another level. It’s important for me to mix new comers and more established acts like them. Ed Banger is nothing without Justice, but also not very interesting with Boston Bun or Mr. Flash for example. EM: To wrap up can you please tell me and your fans out there what’s coming up next for Ed Banger and Busy P? BP: We have tons of new projects in the making! We just released Myd, 'All inclusive' To celebrate this release, we did a 180 page book of photos of Myd on holidays. We‘re soon introducing Vladimir Cauchemar a new enigmatic artist. Everybody is asking us about Justice live, I think we’re going to think about releasing another live album…SebastiAn is in studio everyday working hard, I am as Busy P working on my follow up of Genie.